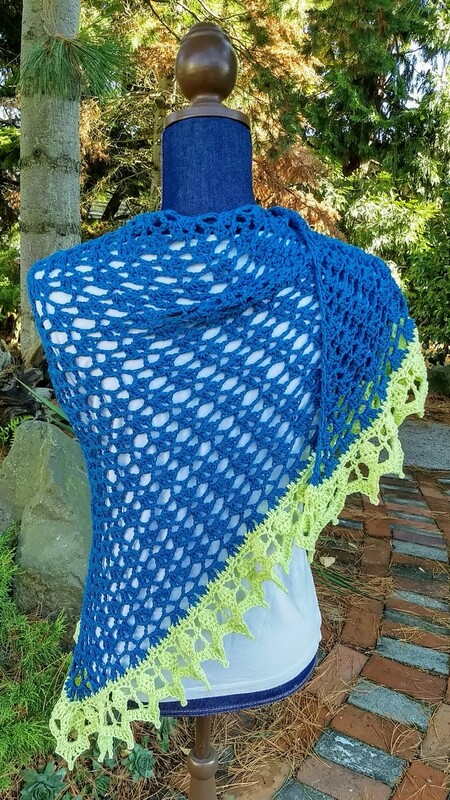 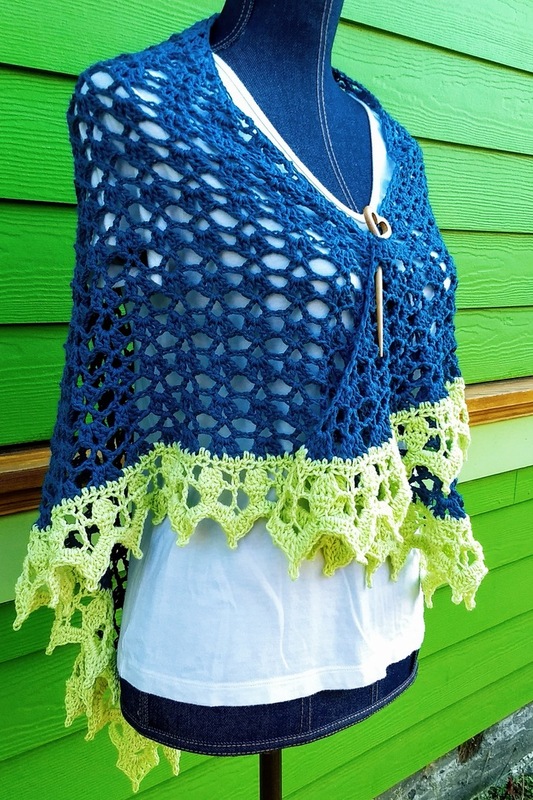 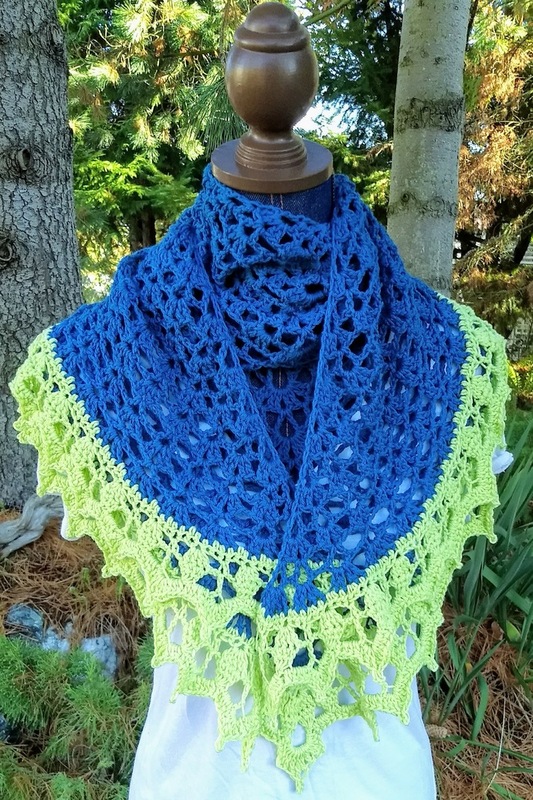 The bright green edging on this blue lace shawl makes me think of little crowns. 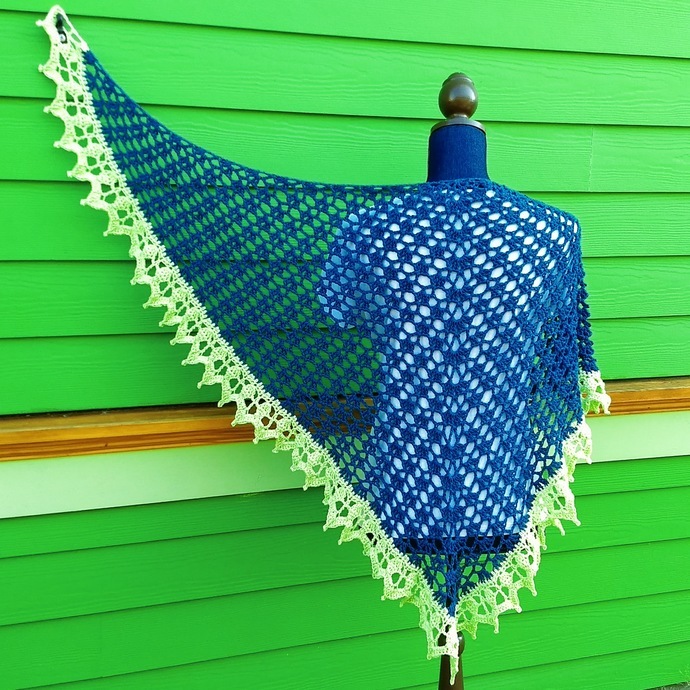 The natural curve to the top edge of this triangular shawl will help keep it on your shoulders. 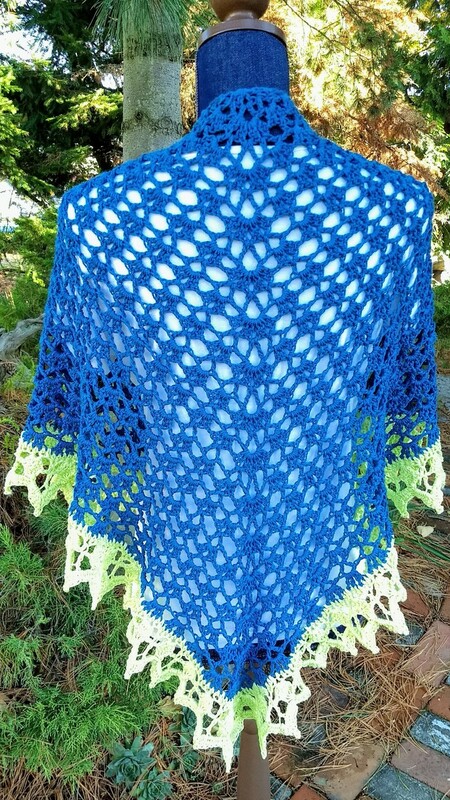 This shawl is a generous 58 inches across the top and 35 inches down the spine. 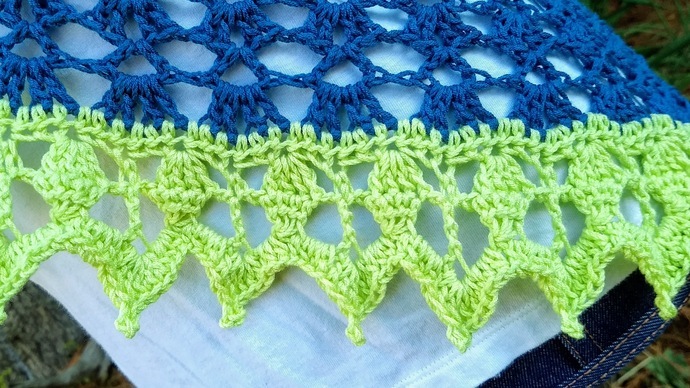 It's made in a soft machine washable blend of acrylic and cotton. 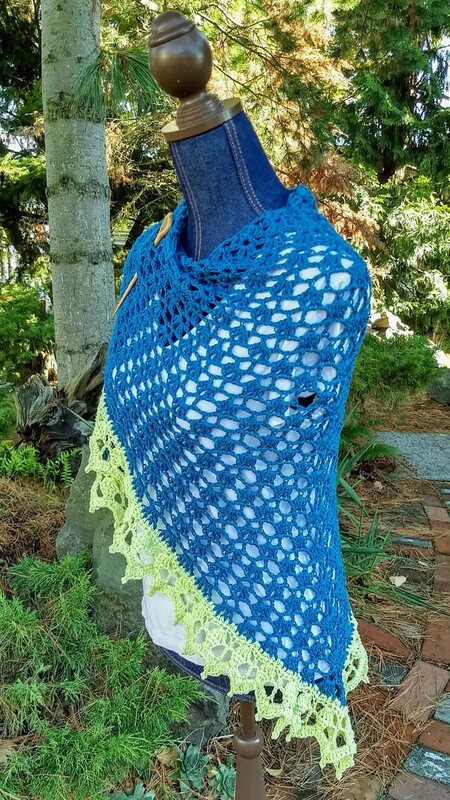 It should be laid flat to dry. 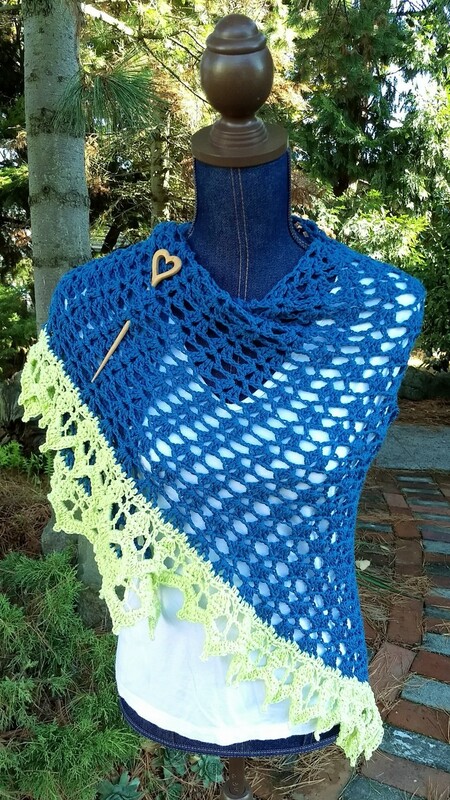 The shawl pin shown in some photos is not included with this shawl.